The ship and crew are travelling up the East Coast to promote awareness about the impact of the proposed Adani coal mine on the Great Barrier Reef and surrounding marine environment. WATCH THE STEVE IRWIN'S ARRIVAL OUTSIDE THE HARBOUR HERE. "It's devastating to see the Great Barrier Reef already seriously threatened by climate change. It will have no chance if Adani's dirty coal mine goes ahead. But the movement to stop Adani is growing, and it's excellent to have the power of Sea Shepherd behind it. For the sake of the Reef and a safe climate for our own children, we all need to be a part of this," Coffs Coast Climate Action Group's Liisa Rusanen said. 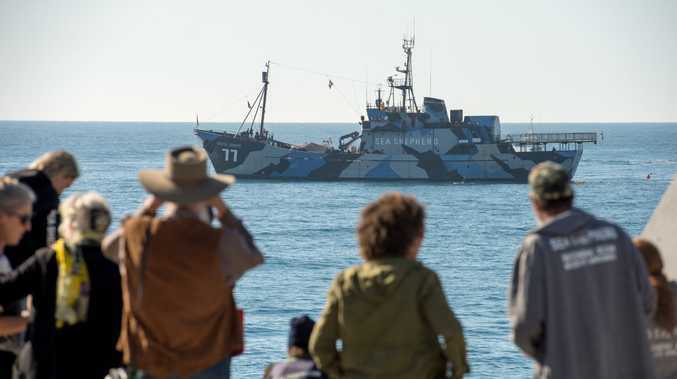 Sea Shepherd Australia Managing Director Jeff Hansen said The Steve Irwin had been brought to Coffs Harbour given the passion protesting of the local climate action group, whose members blockaded the Adani mine site. "Kudos to Coffs Coast Climate Action Group and the community of Coffs Harbour, for although they lie some 1000km south of the proposed Adani coal mine, their passion, courage and resolve to oppose this insanity is inspiring, as they know too well that no matter where we live on planet earth, the impacts of expanding fossil fuels and climate change affect us all," Mr Hansen said. "The Coffs Coast is already experiencing the impacts of climate change and Sea Shepherd's mission is to honour and support the great work done by the people of the Coffs, in opposition of the Adani coal mine and in defence of our Great Barrier Reef and a liveable climate for our children. "Together as one, we charge forward to oppose this madness that is supported by both Labor and Liberal Governments federally. 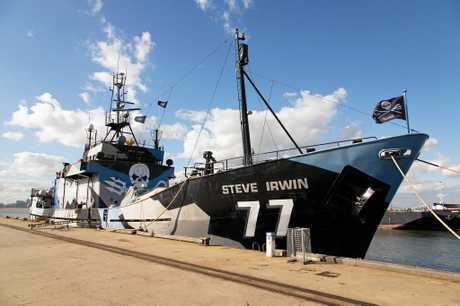 "It is great for the Steve Irwin crew to also comes to Coffs to applaud the great work of Jenny Hanson and Sea Shepherd Coffs Harbour, for all their hard work over the years in supporting Sea Shepherds global mission to protect the biodiversity of our oceans, including the opposition of the Adani coal mine, for the benefit of future generations," he said. Mr Hansen will brief media at 11am. EARLIER: SEA SHEPHERD'S flagship the Steve Irwin will make several port stops along the East Coast on its way to Abbot Point to protest the Adani Carmichael coal mine. The vessel is travelling the east coast of Australia during July and August as part of Operation Reef Defence in opposition to the mine and associated rail line and port which Sea Shepherd fears will destroy the Great Barrier Reef. 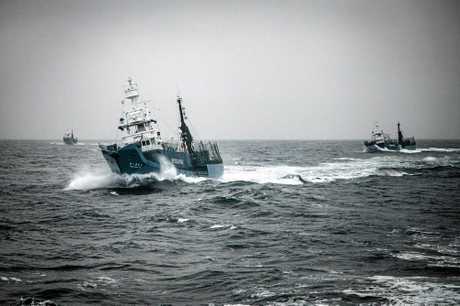 The ship has successfully taken on Japanese whale poachers in the southern ocean and protected whales in the Kimberley and Great Australian Bight and Lisa Rusanen from the Coffs Coast Climate Action Group is pleased to welcome the ship to our shores. "We are very excited - it's a pretty impressive vessel," she said. The local action group has held a number of 'Stop Adani' protests in the region. The vessel arrived in Coffs Harbour around 9am will this morning anchor off the south-eastern top of Muttonbird Island as it's too large to enter the harbour. A smaller support vessel will ferry Sea Shepherd Australia managing director Jeff Hansen and crew to the shore for a press conference at 11am. "The stakes are high: the future of our Great Barrier Reef, the health of our oceans and a liveable climate for our children. For no matter where you live on planet earth, we can not allow Adani's climate catastrophe coal mine to proceed. If we lose this one, we all lose," Mr Hansen said. As well as the welcome flotilla and press conference there will be an outreach event at Jetty Foreshores featuring the ship's captain speaking to high school students. 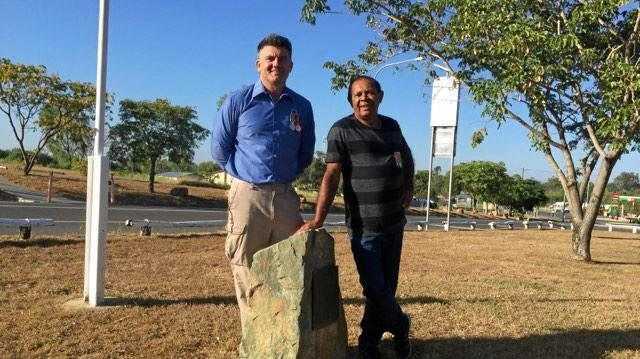 This will be followed by a public forum at the Cavanbah Centre at 6pm. The Steve Irwin's first stop will be at Circular Quay on Friday where it will be open for free public tours. After visiting Coffs Harbour the ship will stop in Byron Bay, the Gold Coast, Brisbane, Noosa Heads, Yeppoon and Mackay then arrive in Abbot Point on August 8.